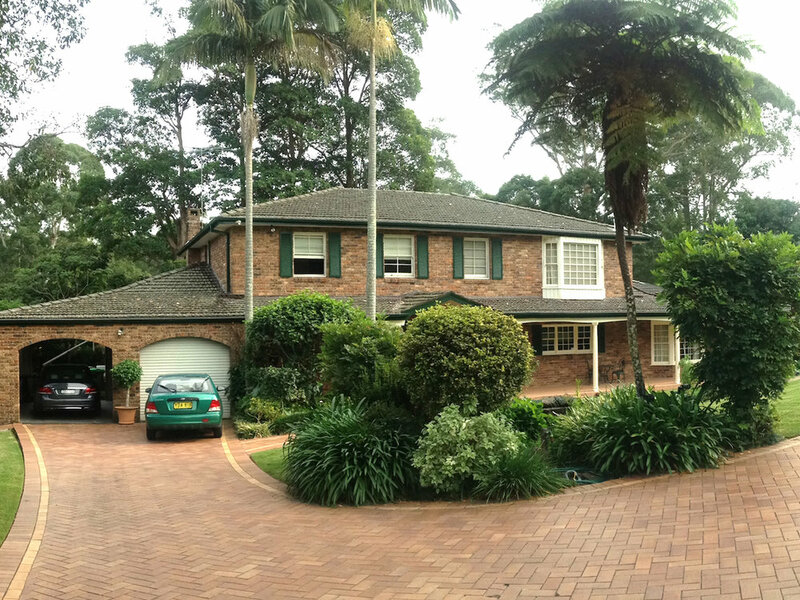 We have just begun an enormous renovation of this large family property that would feel right at home in the 1970s. Let us take you on our journey through the renovation process as we transform this tired 1970s house into a stylish family home fit for 2017 and beyond. The exterior of the house will have a solid scrub and fresh coat of paint on all the woodwork, but we will retain the iconic red bricks that perfectly complement the colour of the surrounding greenery as well as maintain a feeling of authenticity. Inside it’s a different story. We are happy to say goodbye to the overwhelming red and brown brick covering most internal walls. It’s time to freshen up, lighten up & open up the space! Our new design will reveal a beautiful coffered ceiling, giving a warm Spanish nod to the house. The arches are a consistent element throughout the spaces and will play an important role in our overall design. It’s a timber stud forest on the first floor as we are moving most of the walls, including the removal of a smaller bedroom to increase the size of the master bedroom and reconfigure the remaining bedrooms and bathroom. Who needs some solid timber to feed their fireplaces this winter?? We love the location and the generous and lush garden surrounding the home. No stone will be left unturned as we are also collaborating with a gorgeous landscaper to transform our clients' beloved outdoor oasis into a new yet classic sanctuary.